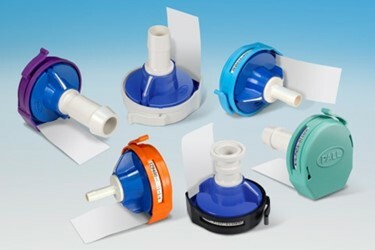 The Kleenpak Presto sterile connector is the next generation in the Allegro™ range of single-use fluid handling and management devices. This new genderless connection allows for the permanent sterile connection of two fluid streams for a large range of biopharmaceutical applications. With its intuitive operation, sterile connections can be to be carried out in a simple 3 steps operation, even in an unclassified environment, without compromising the sterility of the fluid paths. Key design features such as the anti-actuation tabs and tamper resistance protective cap give end users more confidence in operation and security of supply. The Kleenpak Presto sterile connector brings enhanced levels of quality assurance with 100% inspection at point of manufacture that allows device traceability, as each device has its own serial number. The manufacturing process of Kleenpak Presto sterile connectors brings an enhanced level of quality assurance, with the use of an automatic vision system that ensures the absence of defects in the membrane and membrane welding. Available in a variety of sizes, 6.35 mm (¼ in. ), 9.53 mm (⅜ in. ), 12.7 mm (½ in. ), 15.8 mm (⅝ in. ), 19 mm (¾ in.) hose barb and 12.7 mm (½ in.) sanitary connection – the Kleenpak Presto sterile connector can be used in upstream processing, downstream processing and formulation and filling. Made from Bisphenol-A (BPA) free Polyethersulfone (PES) the Kleenpak Presto sterile connector is compatible with a wide range of process fluids and solvents.